Do you know what is GST Bill is all about? Here is explained GST Bill and Features of GST Bill.The GST (Goods and service Tax) Bill rolling out the country's biggest indirect tax reform since 1947 has been subject to heated debate since it was introduced for discussion in 2009 by the previous UPA government. After the 7 years of discussion between the centre and states it is been presumed that consensus on sharing tax revenue has now been developed. The newly formed NDA government is committed to introduce the bill in the present session of parliament. "In view of the near unanimous support of states, that it is going to be a win win situation for all, we will go ahead with the Constitution Amendment in the current session of Parliament," FM Arun Jaitley said after a meeting with the members of the Empowered Committee of state finance ministers on goods and services tax. GST is an integrated scheme of taxation that does not discriminate between goods and services and is a part of the proposed tax reforms that centre on evolving an efficient and harmonized consumption tax system in the country. 1. Two components: one levied by the Centre (hereinafter referred to as Central GST), and the other levied by the States (hereinafter referred to as State GST) ,rates for which would be prescribed appropriately, reflecting revenue considerations and acceptability. 2. The Central GST and the State GST would be applicable to all transactions of goods and services made for a consideration except the exempted goods and services, goods which are outside the purview of GST. 3. A two-rate structure -a lower rate for necessary items and goods of basic importance and a standard rate for goods in general. There will also be a special rate for precious metals and a list of exempted items. 4. The GST will be levied on import of goods and services into the country. 5. 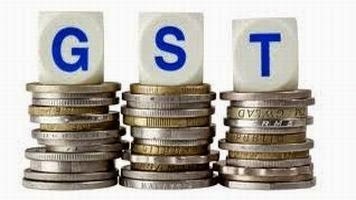 The administration of the Central GST to the Centre and for State GST to the States would be given. This would imply a reduction in unhealthy competition among the centre and the states over tax revenue that was prevalent earlier and an increase in harmonious functioning between them. These are some important Feature of GST, GST is expected to replace the plethora of indirect taxes including service tax, central excise duty, additional excise and customs duties, central surcharges and cesses, state VAT, state sales tax, entertainment tax not levied by local bodies, luxury tax, taxes on lottery, betting and gambling, tax on advertisements and state cesses and surcharges related to supply of goods and services. As these taxes have been ineffective and have suffered from a litany of infirmities, including exemptions and multiple rates, GST is expected to transform the labyrinthine patchwork of taxes to a lean, streamlined process. Major benefits of GST and key problems in the current taxation system (with respect to implementation of GST will be posted next. ~ This Article is Written By CS Tapish Khandelwal.